In June, I received a request from Ann Morphew, from Crab Orchard, Tennessee. She is a member of a citizen’s group helping to revitalize the Crab Orchard community park. 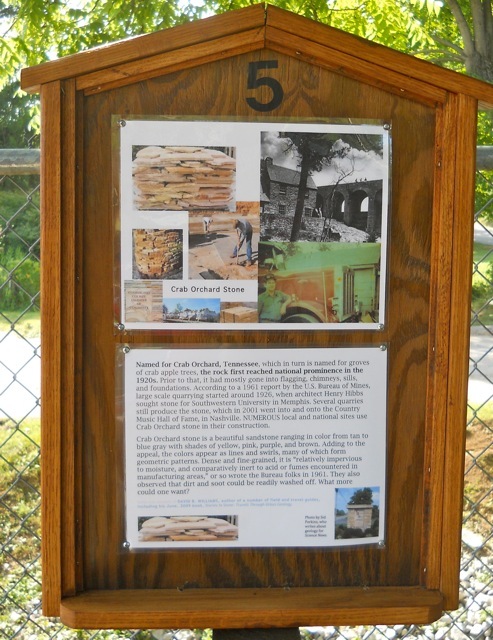 They had a goal of creating sign posts around the paved walkway that encircles the playground-concession-court area. Ann asked if she could use some text from my blog post on the beautiful Crab Orchard sandstone, a multi-colored stone rich in swirls. She also hoped to use some of the photos, which former Science News geology writer Sid Perkins had provided to me. The sign is now up in the park with some words from my blog and Sid’s photographs. I am honored and pleased that she chose to use some of what I wrote. I look forward to seeing it some day. How exciting to see your posting today, David. 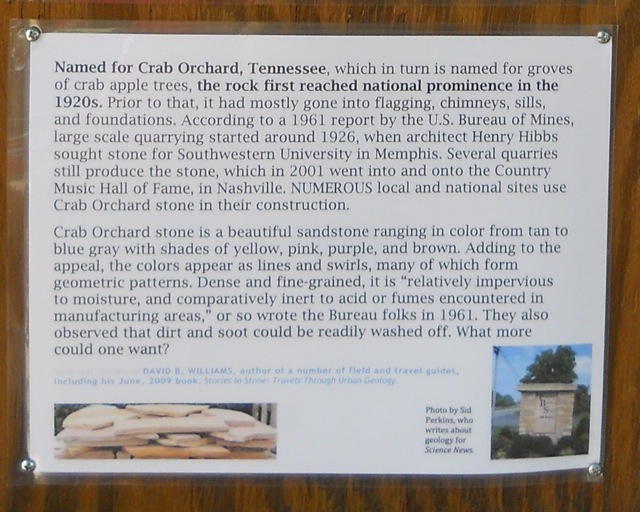 Your site and your authority (as an geological author) added value to our signs on the history of Crab Orchard Stone. We had a delightful city festival last Saturday and hundreds of citizens/neighbors/friends were able to see the ten sign posts that my family created. 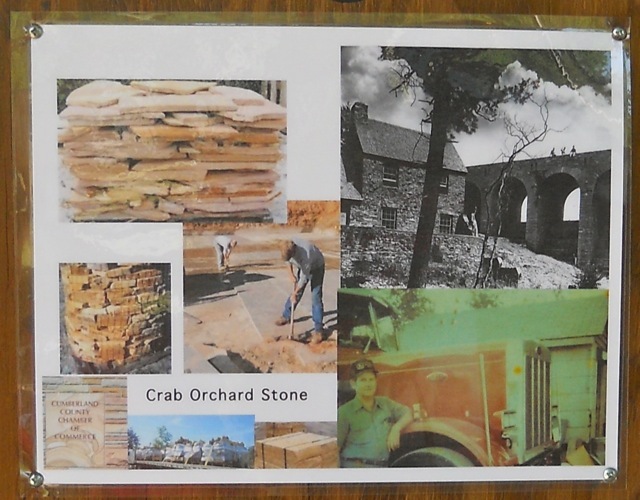 Thank you for sharing joy in our history and in the beauty of Crab Orchard Stone. Thank you for sharing your knowledge and experience with everyone. Crab Orchard is a small southern town with a lot of heritage that tends to get forgotten with lives being so busy. Your blog is a digital memory that can be shared over and again many times. I certainly intend to spread this link to many so they can enjoy a few moments of heritage.